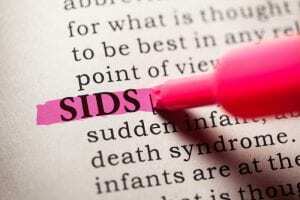 New parents are strongly cautioned to carefully monitor their babies to prevent SIDS or sudden infant death syndrome. While proper sleeping positions and safe sleep habits can be a huge practice that contributes to this. There are also baby monitors that are geared towards new parents and helping with this process. When looking into a baby monitor to help prevent SIDS it is important to do your research and find a product that works best for you. A study was performed on two specific brands of baby monitors, the Owlet Smart Sock 2 and Baby Vida, by the Children’s Hospital of Philadelphia (CHOP) Research Institute. The monitors integrate with an app installed on the parent’s smartphone and measures the oxygen levels in the baby’s blood and the child’s heart-rate by relying on pulse oximetry. Pediatrician Dr. Christopher P. Bonafide, one of the study’s researchers, tested the baby monitors on 30 babies between zero and six months old. The infants were hospitalized at CHOP in the pediatrics and cardiology wards. Bonafide reported that he was shocked by the results of the study. He said that while the monitors looked the same, they performed differently. However, recent information brings questions of this study’s methods and authenticity. Owlet Baby Care has pointed out that the methodology of this study should be brought into question. The co-founder and CEO of Owlet, Kurt Workman, responded, “The accuracy and performance of the Owlet Smart Sock is something we take very seriously. It is important to note that our product is designed for in-home use, with healthy babies while they sleep, to provide parents with information about their child’s wellbeing.” The study completed by Dr. Bonafide included high risk and premature babies, therefore making the population atypical and not the approved usage for the product. It is also important that no note of the babies movements were not recorded during this test and products such as the Owlet Smart Sock 2 are intended to be used while the baby is sleeping. One of Dr. Bonafide’s concerns was that the Owlet did not use arterial blood gas measurement, but Owlet conducted accuracy testing using arterial blood gas measurements and it was shown that the Smart Sock performed according to the FDA and industry standards for pulse oximetry. A study from December 2017 showed that the sensor performed well within industry and regulatory standards for pulse oximetry. These standards require the device to perform within 3 % Accuracy Root Mean Square (ARMS). It is clear that there are some discrepancies within the CHOP study, and it is important to note that when testing a product outside of its designed realms results may not be accurate. Always lay the baby on their back on a firm surface. Avoid using pillows, blankets, stuffed animals and crib bumpers in the baby’s crib. Infants should share a room with their parents for at least the first six months of life. Babies should sleep in their own cribs and never in bed with parents. Avoid making the baby too warm, and dress them in the same amount of clothing as the parent plus one more layer to keep warm. Never smoke, do drugs or drink alcohol around an infant. Always follow the recommended immunization schedule. Dr. Mattke also said that skin-to-skin contact during the first hour of a baby’s life, as well as breastfeeding, can help to reduce the risk of SIDS. When parents follow all of these tips, they can keep their infant more comfortable and safer overall.